These classic restaurants have been around for decades serving generations of Calgarians. 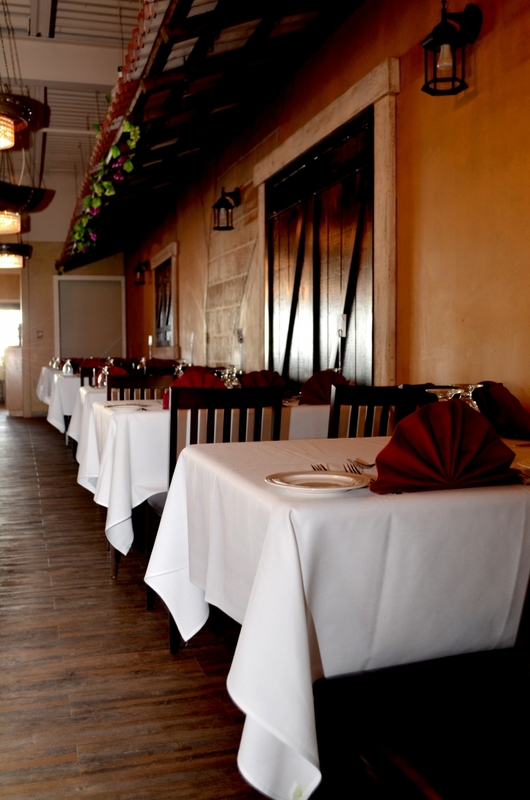 Filomena Abdi is busy moving elegantly dressed tables in La Brezza Ristorante’s quaint interior to make room for the large holiday parties she is expecting during the Friday night dinner rush. Sparkling Christmas ornaments hang in the dining room windows, which look out on the main shopping and restaurant district in Bridgeland. Holiday carols are softly playing in the background while she works. 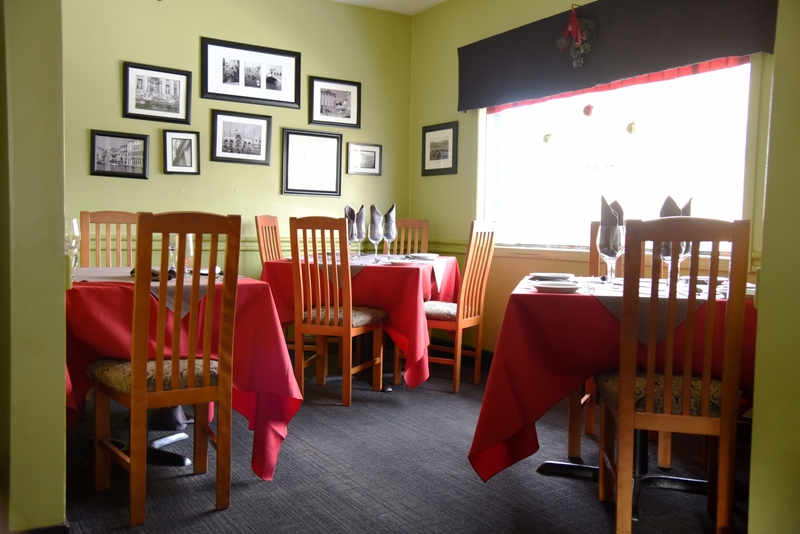 The restaurant’s soothing green walls are spotted with framed pictures. Amongst the artistic floral prints and images paying homage to Italy is one frame that stands out in particular. It is a photo of Filomena and her husband Marco. Below the image is a caption describing how Filomena will continue to carry on La Brezza’s legacy of food, love and family. Nine months ago, Filomena’s husband and the owner of La Brezza passed away. He was diagnosed with stage four terminal cancer and three weeks later, he was gone. Since that time, Filomena and her mother – the restaurant’s head chef – Angela Buonincontri have continued to welcome La Brezza’s loyal customers into the restaurant in honour of Marco’s dream. 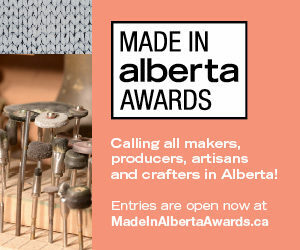 Originally born in Somalia, Marco Abdi lived in Rome for 11 years and immigrated to Canada in 1981. He met Filomena on the number nine bus route in Bridgeland two years later and opened La Brezza while the pair were still dating in ’87. Prior to Marco’s passing, Filomena did not work at the restaurant. She taught, specializing in kindergarten to grade three, stayed home to raise the couple’s three children and volunteered with the Further Education Society. “I had a huge decision to make, because this was not my dream. It was his,” says Filomena. Filomena says that Bridgeland’s residents have been especially supportive of her and her family while she learns the ropes of managing the business. 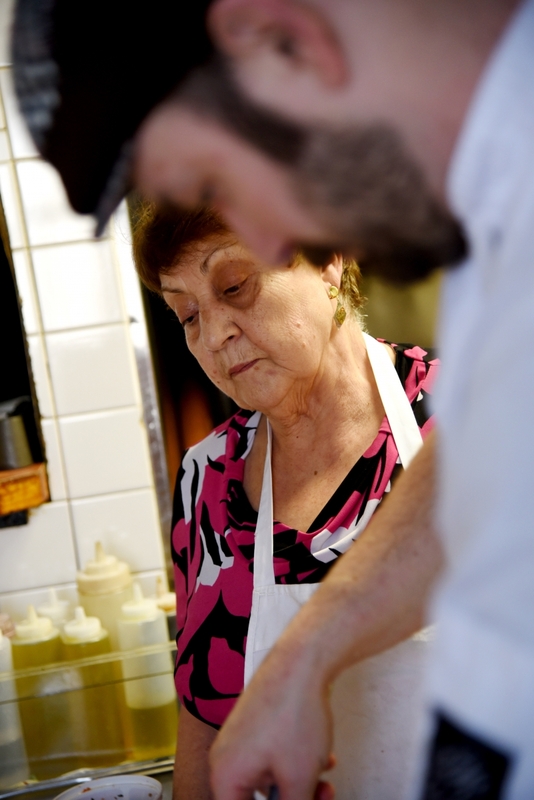 Her mother – whom the family refers to as Mamma Angela – worked in the kitchen while Marco grew the restaurant to its current success. Today, Mamma Angela can still be found, apron on, in the kitchen helping to prepare food with the restaurant’s current chef. La Brezza, which means ocean breeze, continues to be a facet in the Bridgeland and greater Calgary community under the guidance of founder Marco Abdi’s wife, Filomena Abdi. Mamma Angela Buonincontri worked with Marco from when the restaurant was first getting on its feet. Today, she is still the head chef and helps prepare food while also teaching the previous and current chefs at the restaurant. 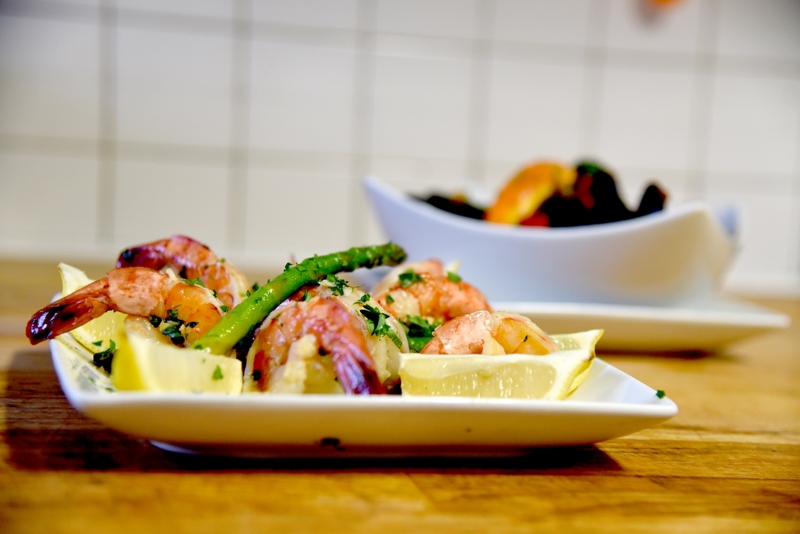 Gamberi Portofino, jumbo prawns marinated in a delectable garlic and white wine sauce with sauted asparagus. Right, Cozza Marinara, fresh mussels tossed in a to-die-for home-made tomato sauce. Spiros Pizza’s white facade and sky blue trim sets the establishment apart from the other businesses nestled along 17 Avenue S.W. The cheerful restaurant seems like it would be better suited facing azure Mediterranean waters rather than a traffic-ridden Calgary road. Although the establishment looks like it belongs on the Greek coast, Spiros Pizza has taken up residence in the community of Killarney since 1971 when it was founded by Jim Spiropoulos. 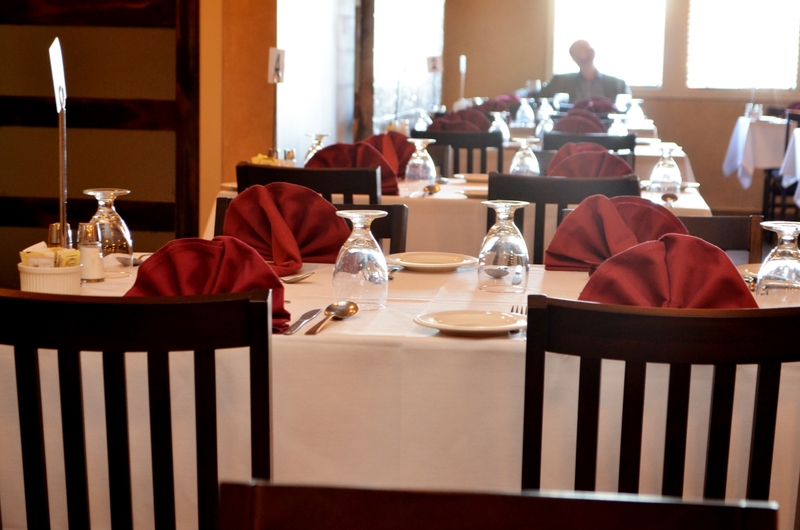 The business has been bringing incontestably delicious pizza, pasta and Greek cuisine to Calgarians ever since. Spiropoulos ran Spiros for nearly 20 years. After being bought by another owner, the business was returned to family hands 11 years ago when it was taken over by John and Angie Kontalis – Spiropoulos’ niece and her husband. In fact, John Kontalis began his restaurant career working at Spiros at the age of 14. He started as a dishwasher, making $1.05 per hour, and then was promoted to a cook. At that time (after some some deliberation) Uncle Jim increased his pay to $1.75. “He was a very good mentor,” says John, adding good-naturedly that he saved more money when he was making $1.75 per hour then when he was making $2000 per month. John and Angie Kontalis come from a long line of restaurateurs, with their family owning Tino’s Pizza and Greco’s Pizza along with Spiros. John and Angie also ran Cheers Deli and Bar along with many other hospitality businesses before returning to Spiros. The Kontalis’ five daughters, Kristina, Anjelika, Annah, Dimitra and Katerina, are the third generation to help run Spiros – with Angie and John’s five-year-old grandson Yinni eager to take up the reigns. It isn’t only generations of Kontalis’ who are growing up with Spiros, but also generations of Calgarians – many of whom the Kontalis family knows by first name, last name and pizza order. “We have customers that had their first date in here, end up getting married, bring their children here and now they are bringing their grandchildren here,” says John. The Kontalis family attributes their delicious food, passion for the hospitality industry and their family values for Spiros’ success. Angie Kontalis says that: “Our customers have become our family. Which is something that is very rare in a business and it is something we take value in. 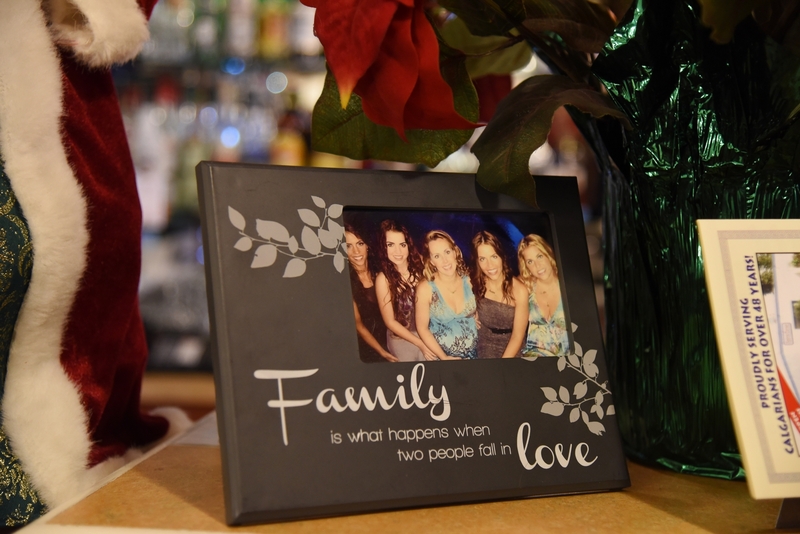 The restaurant has passed through three generations of the family, including Angie and John’s daughters: Angelika, Katerina, Kristina, Demitra and Annah. 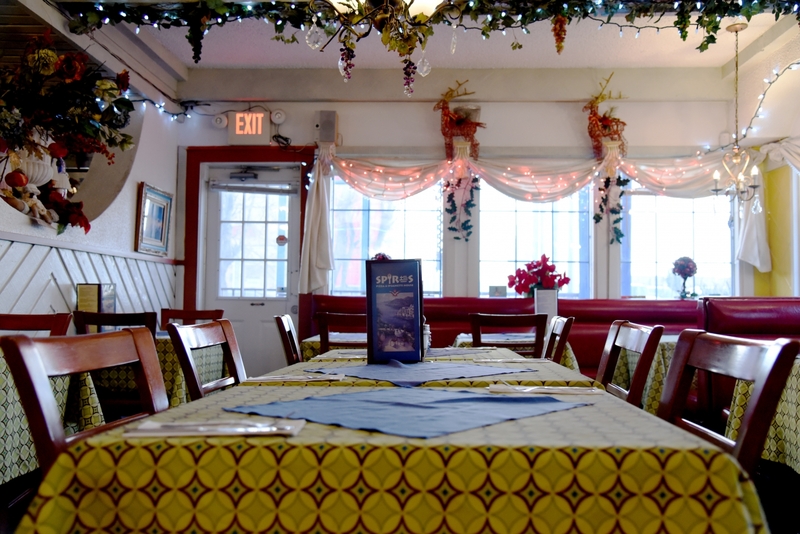 The restaurant has adapted and grown its menu through the years, adding more traditionally Greek dishes and accommodating dietary needs such as gluten intolerances. However, the “Dam Good Pizza,” created by Jim Spiropoulos in the ’70s, has remained a classic menu item. Walking through Julius Caesar’s Steakhouse & Lounge’s heavy wood doors feels like stepping onto the set of a Mad Men shoot. Through the entrance and to the right is the restaurant’s lounge, featuring a well-stocked bar, red-leather swivel chairs and wood and mirror walls that look like they come straight out of the ’70s – which in fact, they do. Caesar’s has renovated minimally since it was founded by Nick Kaketsis, Con Giannoulis, Louie Tsaprailis and Louie Girgulis in 1972. To the left of the entranceway is the dining room. 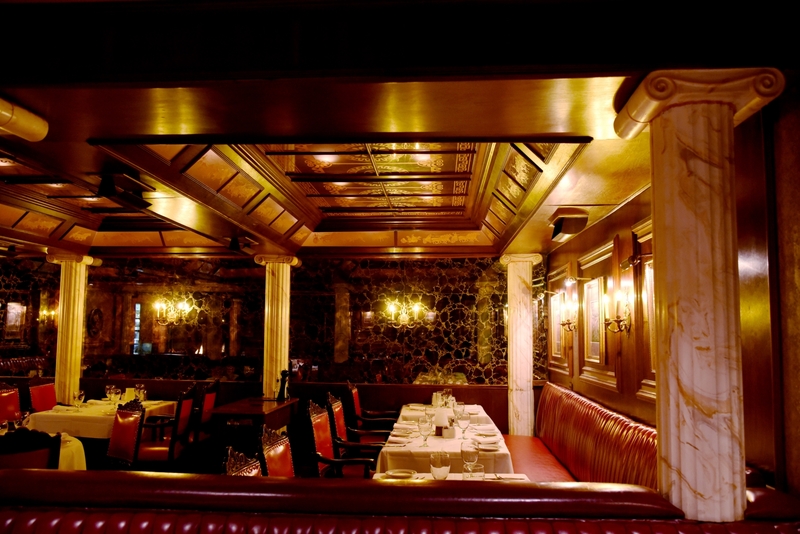 Complete with Greek ionic pillars, heavy drapes, thick red carpets and an impressive open grill, Caesar’s makes you feel like you should nestle into a private, red-leather ensconced booth and order a martini: dry, with extra olives. 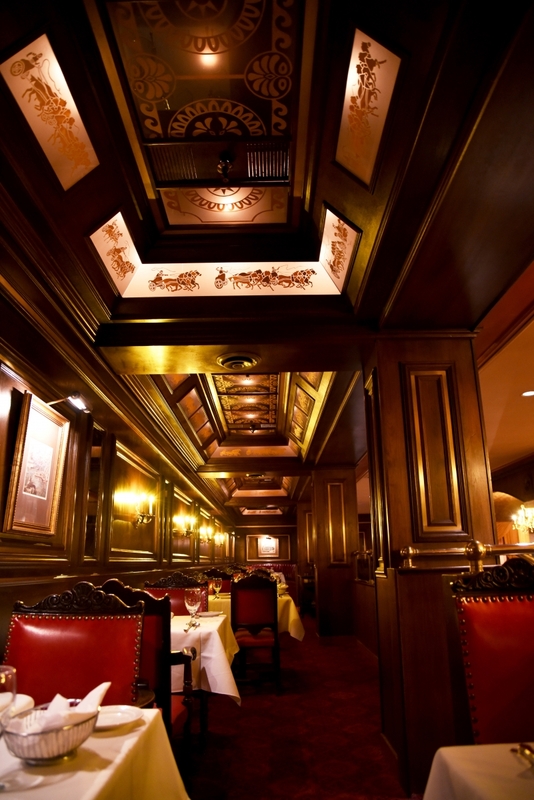 One such booth, tucked into the far left corner of the dining room and elevated up a short set of stairs, has hosted the likes of George H. W. Bush and Brad Pitt. There was a time, says co-founder Con Giannoulis, when the restaurant kept jackets and ties in its coat check in the event a customer’s apparel of choice was not suited to the restaurant’s dress code. That being said, Caesar’s always welcomed – and continues to welcome – the local ranchers to whom the restaurant owes its melt-in-your-mouth steaks. Ranchers, who Giannoulis’ daughter Connie Giannoulis-Stuart can remember coming to the restaurant in their jeans and cowboy hats. “I know a lot of people talk about food-to-table and, well, a lot of the ranchers in Alberta love us and they still come here,” says Connie. Her father, who immigrated to Canada from Greece on his own at the age of 17, has used the same beef supplier for nearly 50 years. Connie adds that Caesar’s success can be attributed to the restaurant’s high standards for producing quality product and service. Con Giannoulis himself still opens the restaurant every morning. White table clothes, red leather and dangling chandeliers add an air of oppulence and luxury to the restaurant. Ancient Greek inspired detailing on Julius Caesar’s Steakhouse & Lounge is a detail that pays homage to the founding member’s Greek heritage. 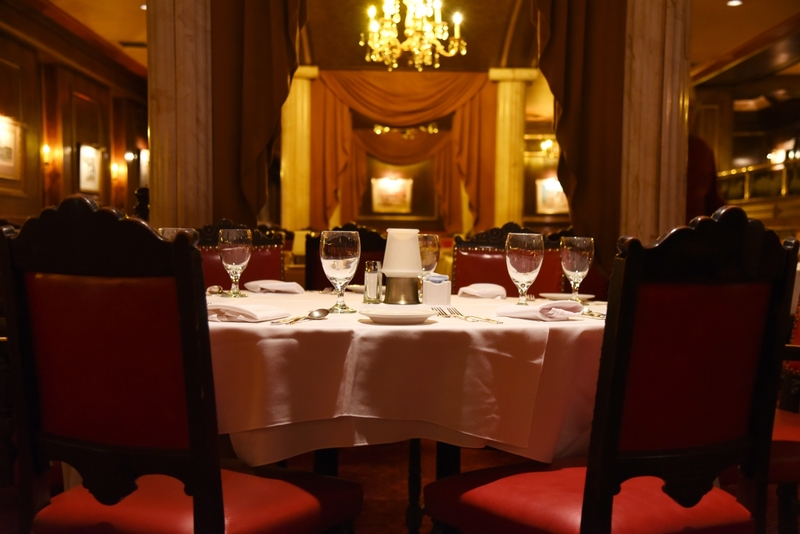 Caesar’s is the perfect setting for a business meeting, anniversary dinner or as respite from any steak-lovers busy day. The Rose & Crown has been a long-standing fixture in Calgary’s hospitality community, with the structure’s exterior and interior looking like it belongs in a tiny English village. Compared to the high-rises and continuously developing Calgary Beltline neighbourhood, the pub certainly cuts a distinctive figure. 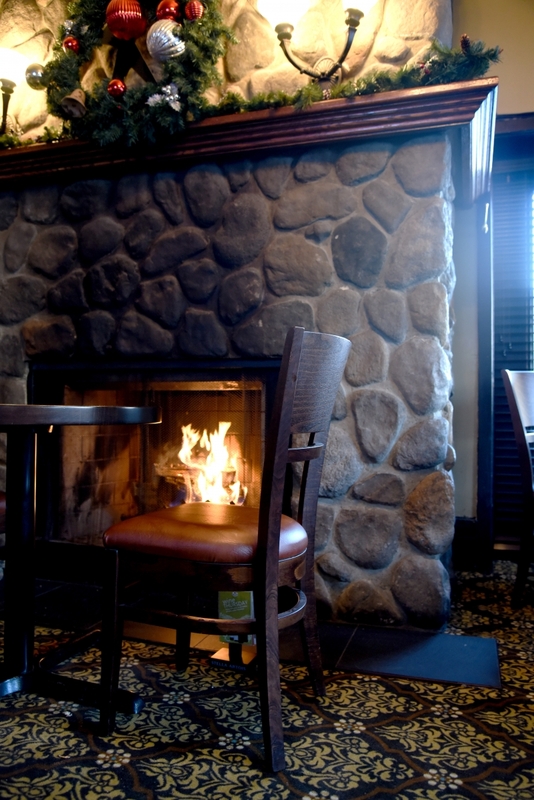 Established as a bar in 1986, the historic building was originally a funeral home that was constructed in the 1920’s. When the building was adapted to the cozy, homey space that its loyal patrons are familiar with today, the owners altered the space as little as possible and kept much of the original aesthetic – including the original wallpaper on the third floor. Along with paying host to a plethora of customers – from businessmen to students and a variety of U.K. expats – it is also rated as one of the top four most-haunted places in Calgary. Madden says that many of his staff members and customers have witnessed other-worldly instances, from mysteriously clanging pots and pans to thumping in the attic. One of the most commonly sighted spirits is the face of a little boy staring out of the pub’s top floor window. “At the beginning I thought that is was weird, but now I just go with it. If you are dead and you need to hang out somewhere, why not a bar?” says Madden. The haunted pub has certainly drawn its share of paranormal enthusiasts and curious customers, however Madden attributes the success of the bar’s longevity to its accessibility and varied purposes. “I think it has done well because it was a pub and the essence of a pub, I believe, is that it has got something for everybody, whether you are 18-years-old or 90-years-old” says Madden. He adds that the bar is also like a chameleon, providing a space for business lunches in the afternoons, regulars to grab a pint in the evening and for customers to enjoy live music shows on the weekend. The Rose & Crown has kept much of the original 1920’s building as possible, adding only what was needed to operate as a pub. 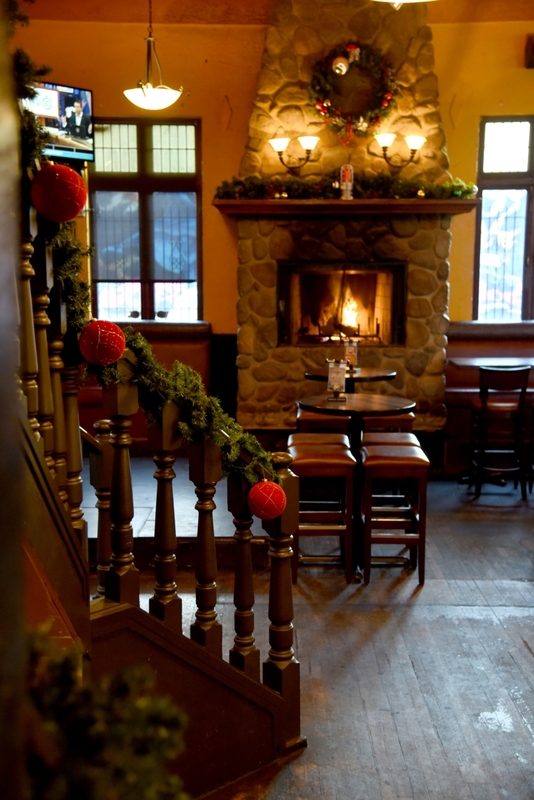 Cosy up in one of the quieter rooms off set from the main pub area. 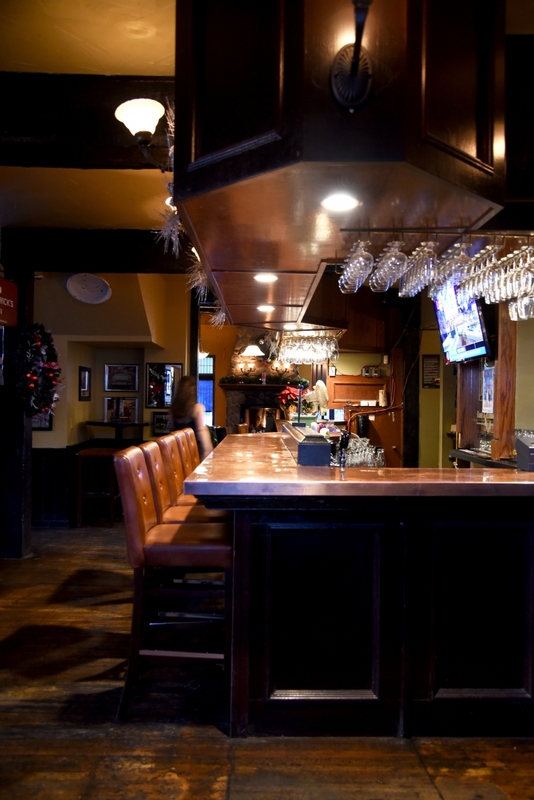 The pub is an expansive space, with multiple floors and bar areas that can hold hundreds of thirsty customers. John and Isabel Da Costa opened their restaurant Mimo – located just off of International Avenue in the Little Saigon strip mall – 32 years ago after moving from Quebec to Calgary in the ’70s. Isabel Da Costa is originally from San Miguel and her husband, John, was born in Braga. The two eventually moved to Quebec and met at a Portuguese festival in Montreal. Their daughter, and restaurant co-owner, Carla says, “it was love at first sight.” After Carla’s father moved out to Calgary to work in construction, he saw an opportunity in the city to start his own business and bring a little of his culture out west. At the time, the Da Costas owned three businesses in Forest Lawn: a bakery, caf and restaurant. The current bay where the Mimo now resides was originally the bakery. When the Da Costas opened their businesses, the Little Saigon strip mall was a plaza filled with Portuguese shops and places to eat. Today, the only remaining two Portuguese businesses are Mimo and an unaffiliated gift shop next door. Carla Da Costa says that her parents jumped into opening their businesses with “both feet”, while also raising two children. She grew up helping her mother prepare vegetables or cleaning up the kitchen. Being raised in the restaurant nurtured her passion for her parents’ business and her interest in her heritage. “This is my parents success story and I grew up with it,” says Carla. She adds that when her parents first opened their businesses, they would travel to Portugal and bring back family recipes. 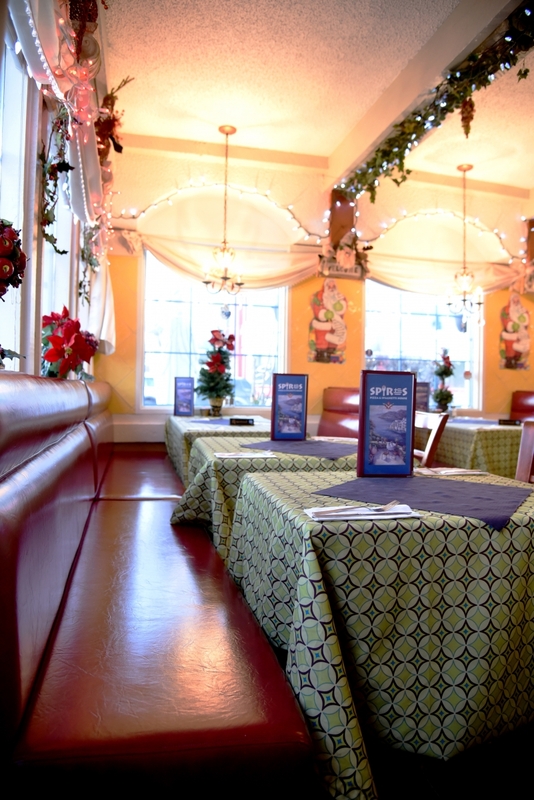 Although Mimo is tucked away in Calgary’s S.E., many of it’s regulars make the trip from all areas of the city to enjoy traditional Portuguese fare served family style. Mimo’s decor takes inspiration from the cobble streets and terra cotta roofs of Portugal. 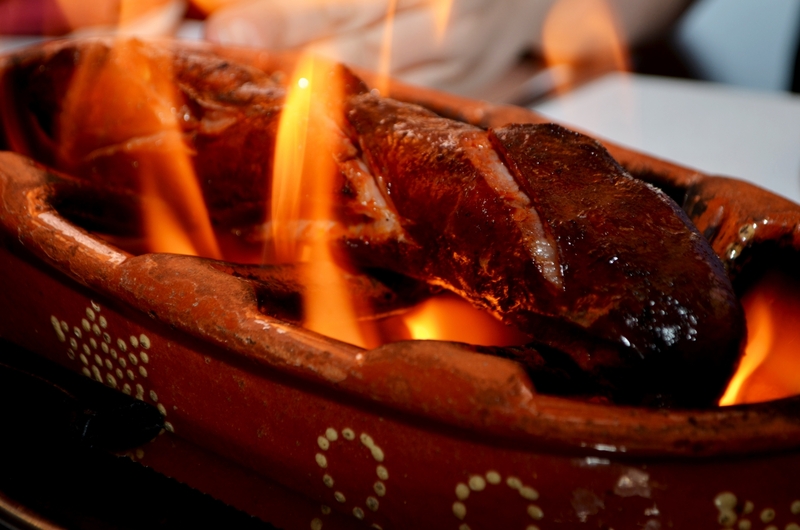 Chourio bombeiro, or “flaming sausage” is served alight and is a delectably spicy dish as well as an exciting one.